My TNR colleague Alec McGillis does a fine job filleting Romney strategist Stuart Stevens’s op-ed in today’s Washington Post, but there's one point I’d like to add: Stevens is dead wrong when he says Romney won the middle class vote. 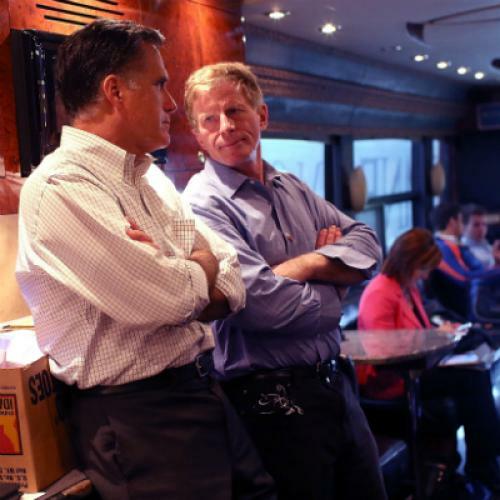 “On Nov. 6,” Stevens writes, “Romney carried the majority of every economic group except those with less than $50,000 a year in household income. That means he carried the majority of middle-class voters.” Alec rightly calls this “47 percenterism,” i.e., a haughty dismissal of everybody making less than $50,000 a year. Forty-seven percenterism it certainly is—or anyway 41 percenterism (close enough! ), because exit polls showed that 41 percent of the Nov. 6 electorate earned less than $50,000. Like Romney, Stevens seems happy to write off this unwashed near-majority as a lost cause. But where does Stevens get the idea that winning the more clubbable majority of voters earning $50,000 or more means Romney “carried the majority of middle-class voters”? Perhaps from President Obama, who during the election preposterously defined as poor or “middle class” any household earning up to $250,000. But if you follow the lead of Romney adviser Martin Feldstein, who defined as poor or middle class any household earning up to $100,000, then that group went for Obama by a healthy 10-point spread, 54-44 percent. This group represented a hefty 72 percent of the electorate. America is a country where everybody likes to think of himself as middle class. Let’s follow Feldstein’s lead and say that anyone who doesn’t occupy either the bottom or top quintile of the income distribution (i.e., the bottom or top 20 percent) can plausibly claim membership in the middle class. That means you live in a household whose income lies somewhere between $20,262 and $101,583. If your household income is $20,262 or less you’re poor (or, if you prefer, “at risk”). If your household income is $101,583 or more you're rich (or, if you prefer, “affluent”). Maddeningly, the exit poll data doesn’t break down the electorate this way, but let’s work with what we have. The exit polls show that 52 percent of the Nov. 6 electorate earned between $30,000 and $100,000. Obama won 57 percent of voters earning $30,000 to $50,000 and 46 percent of voters earning $50,000 to $100,000. Average those percentages and you find Obama won 51.5 percent of the middle class, thus defined, while Romney won 47 percent of the middle class, thus defined. “But wait,” Stevens might say. “I demand an asterisk!” Averaging these two percentages skews the vote toward Obama, because the segment of the electorate earning $30,000 to $50,000 (which went for Obama) represents a mere 21 percent, while the segment earning $50,000 to $100,000 (which went for Romney) represents 31 percent. The two groups shouldn't be weighted equally. No fair! But it’s more than outweighed by a bigger asterisk favoring Obama. Remember, we’ve excluded middle-class voters earning between $20,000 and $30,000. The exit polls don’t say how much of the electorate this group represented, but it was sizeable. What the exit polls do say is that voters earning less than $30,000 represented fully 20 percent of the electorate. Obama captured 63 percent of this vote. And judging from past experience (poor people are a lot less likely than middle-class people to get to the polls) this group skewed heavily to the portion earning $20,000 to $30,000. Take all that into account, and it's pretty hard to dispute that Obama won the middle three quintiles, i.e., the middle class. So let’s hear no more nonsense about Romney’s popular-vote victory among middle-class voters. Romney lost the middle class, just like he lost the election. Update, Nov. 30: In an email replying to this column, Stevens pointed out that a bottom threshold of $20,000 would put part of the "middle class," as I define it, below the poverty line (which is $23,000 for a family of four). It's a very fair criticism. But raising the lower threshold to, say, $24,000, doesn't change the math, because (as noted above), the $0-$30,000 part of the electorate can safely be assumed to skew heavily toward the upper end. Stevens prefers as an upper limit for "middle class" $250,000, which is where Obama (and Romney, for that matter) put it in the campaign. But a household income of $250,000 puts you above the 95th percentile, and I'm sorry, if you're richer than 95 percent of America you can't possibly be "middle class." Stevens can legitimately crow, in this argument, that Obama hoist himself on his $250,000 petard. But he can't plausibly say that households making up to $250,000 reside in the middle class.